Crispy, Aromatic Duck: half deboned duck, cooked in five spice and special soy sauce, sliced and served with cucumber, spring onions, hoisin sauce, wrapped in a thin crepe. 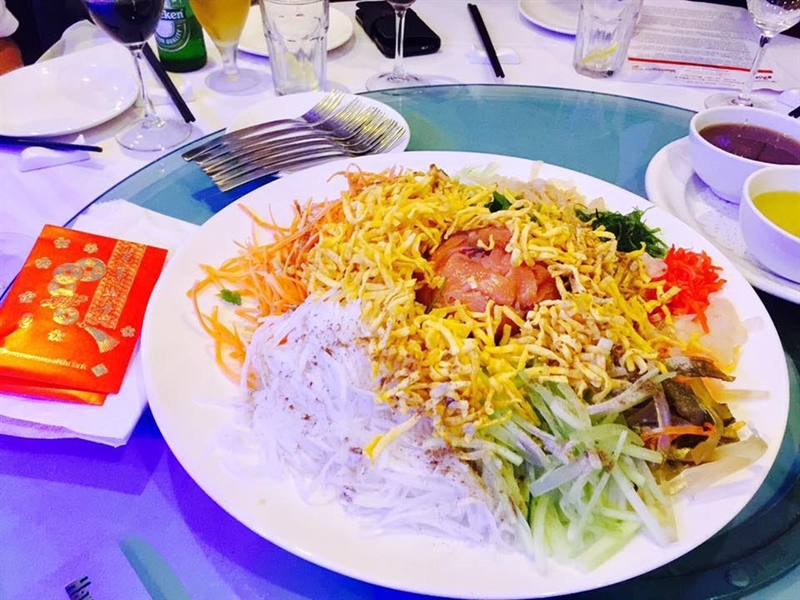 Charming Adelaide locals and tourists alike, is the long established House of Chow restaurant on Hutt Street in inner city Adelaide. 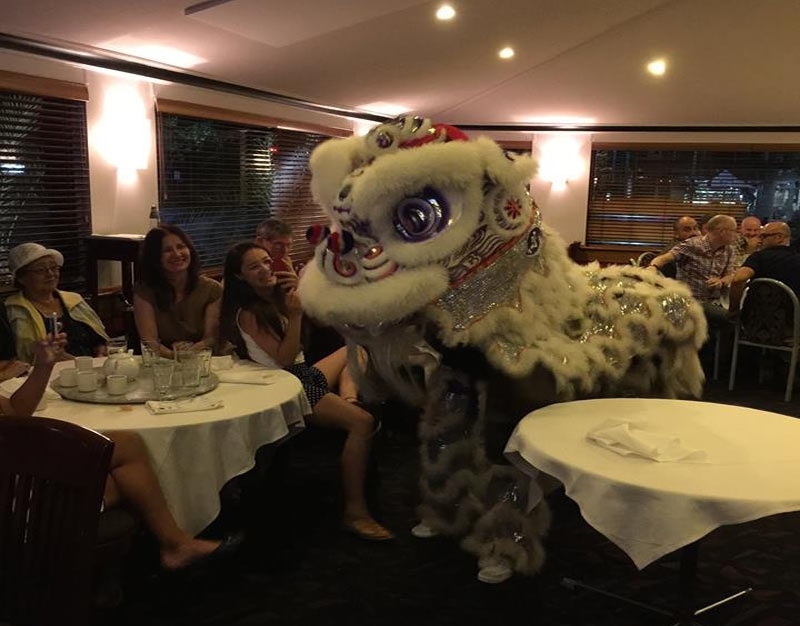 Host Roz Chow welcomes all patrons into her multi award-winning restaurant full of lively talk from local and business diners surrounded by deep red tones, mood lighting and a glowing fish tank, which takes centre stage. At House of Chow diners can choose to dine in one of the private dining areas, or lounge at the cocktail bar with pre-dinner drinks in hand before being seated by a window. 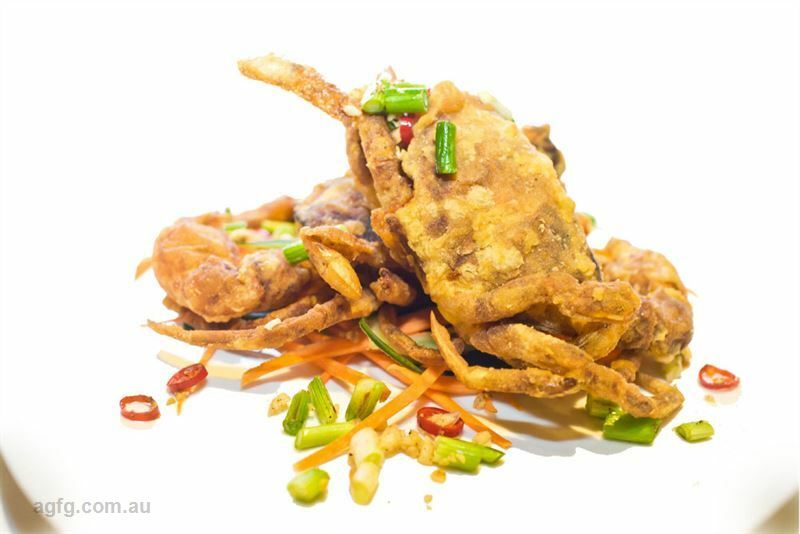 Choice is abundant with over five menus on offer, begin with salt and pepper soft shell crab with spring onions and fresh chilli; before delving into grilled chicken leg fillet, marinated in lemon grass, coriander and a touch of chilli and garlic, with special fried rice. 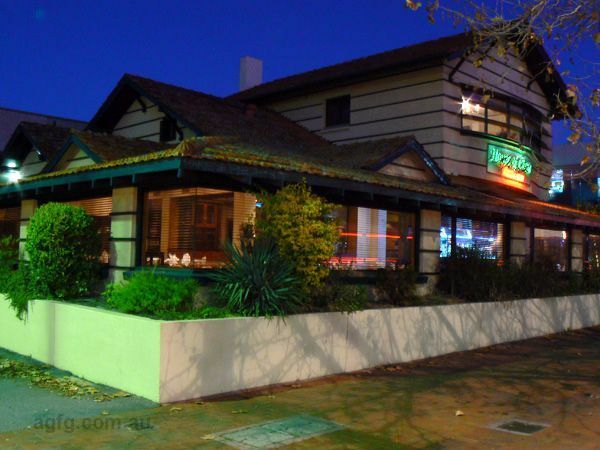 If you were heard to mention something tried and trusted, something treasured and special, an old family friend that you never ceased to enjoy in the company of those close to you, or somewhere you could count on with new business colleagues, then you could well be talking about one of Adelaide's finest culinary institutions, the House of Chow in Hutt Street. The House of Chow sits with the very best restaurants in a city that settles for nothing less than perfect when it comes to food and wine. This is an establishment nearing 25 years of vintage that just continues to get better with no less than four Awards of Excellence in the past six years. 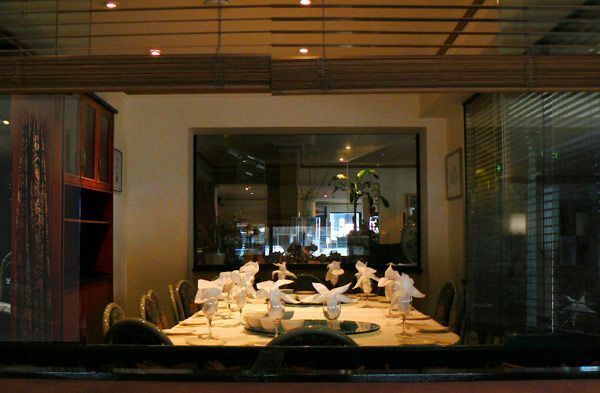 A family business that boasts a barman of 23 years service, a chef of 15 years and a faithful clientele since the day the doors opened bears testament to the passion behind the quality of food, service and friendliness that the House of Chow represents. The restaurant presents beautifully with an abundance of natural light by day and an intimately engaging ambiance by night. 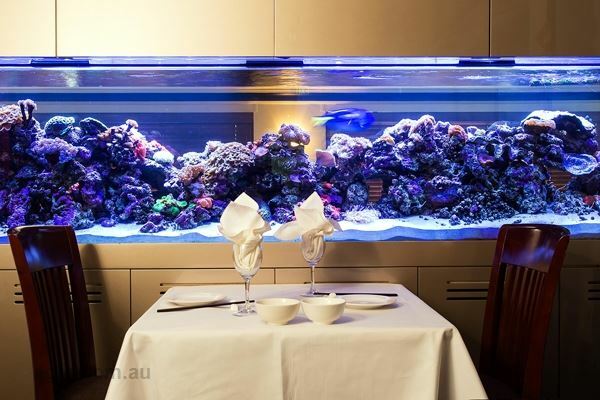 A feature of the room is the marine aquarium where an underwater world carries on in a kaleidoscope of colour whilst you relax in the comfort that is the House of Chow. 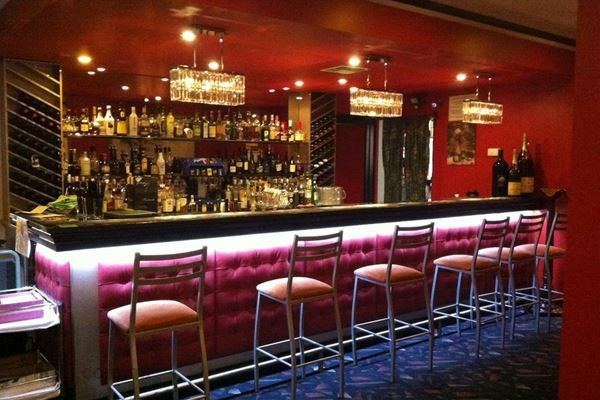 The restaurant also offers every opportunity for corporate occasions or special functions with private rooms catering for up to either 20 or 60 people. The main restaurant can seat up to 150 people. 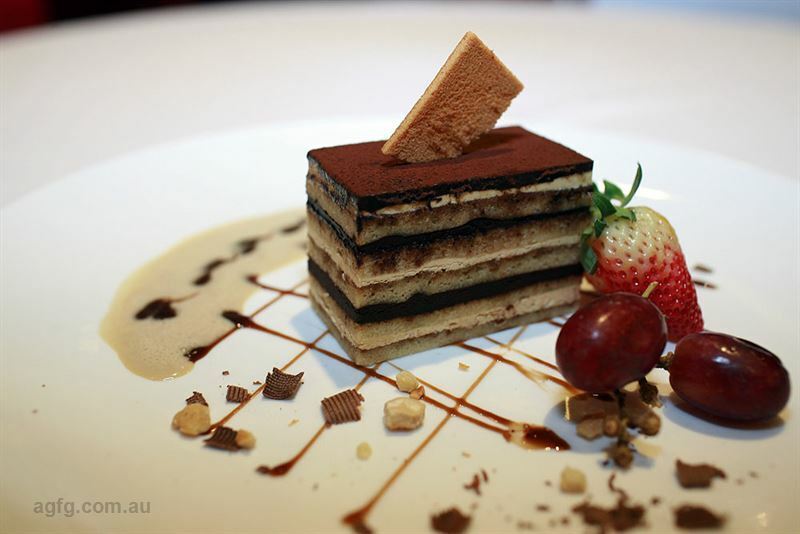 The menu is nothing short of intoxicating, not just because of the 200 wines to choose from, but also due to the sumptuous choice of the finest Asian gourmet cuisine. 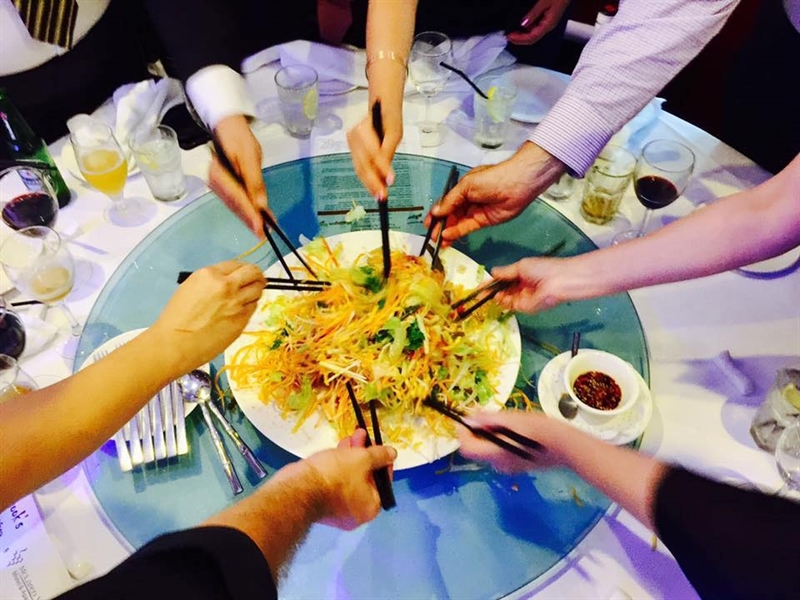 House of Chow staff take immense pride in the menu and know each dish very well, with their enthusiasm assisting the clientele in making the choice easy, whether for banquet or individual dishes. 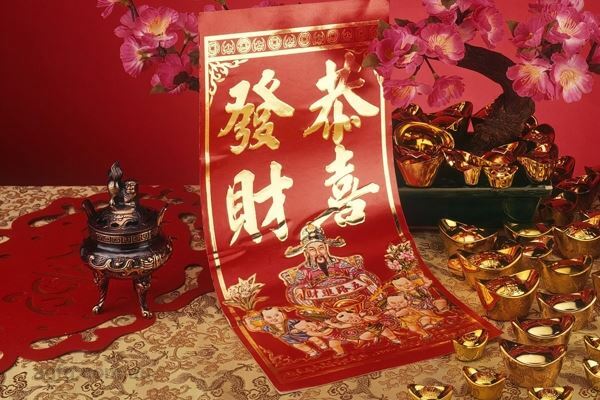 The understanding of client needs and the flexibility to meet them is highly valued at the House of Chow. 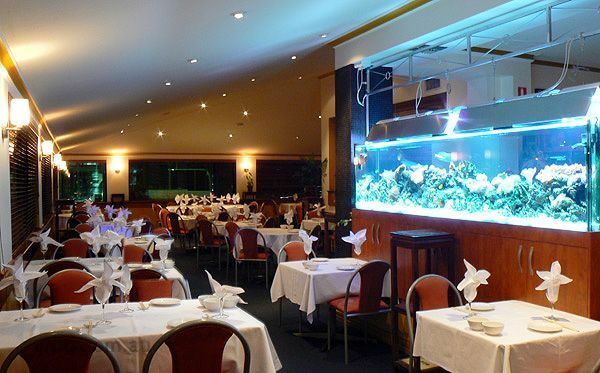 The restaurant can cater for people with allergies, dietary considerations, and intolerances of MSG as well as providing an extensive vegetarian menu. 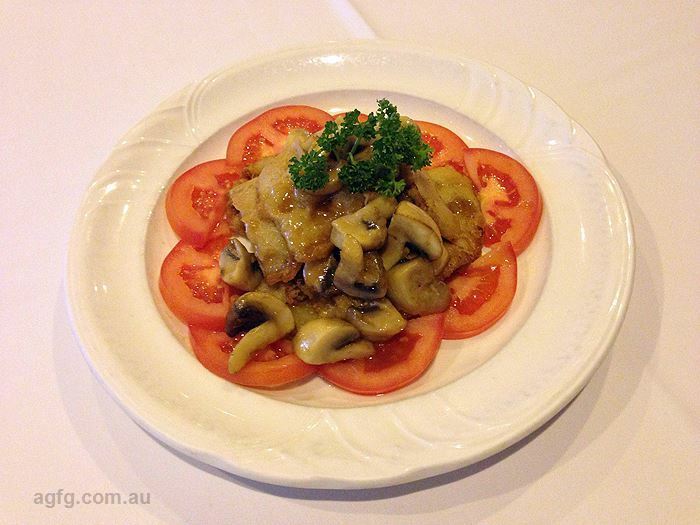 The House of Chow take-away menu also caters for those on the run or wanting to enjoy the splendid cuisine at home. The House of Chow has an enviable reputation for its extremely palatable prices. 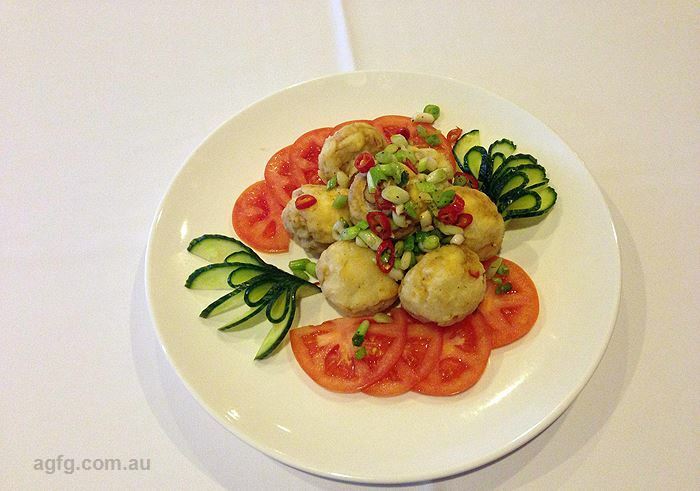 Located in the city of churches, the House of Chow has become a culinary religion in itself. For owners Roz and David Chow, the restaurant is their life, their family and their passion. 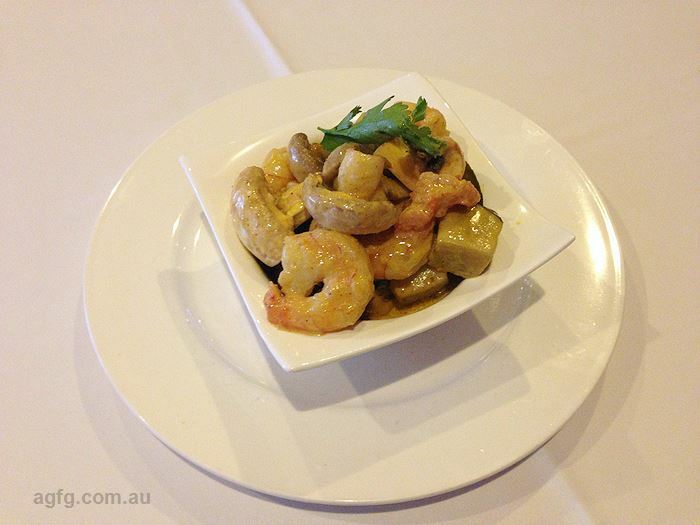 Their congregation of food fanciers continues to grow and enjoy arguably one of the finest Asian gourmet restaurants in Adelaide, if not Australia. All of the food is beautiful, especially the Salt @ Pepper prawns and spring rolls. Roz Chow looks after all guests like they are family . ?? Great Restaurant been around for many years . The food is excellent . The Owner Roz has a wonderful Personality she makes all of her Customers feel special ?? This is a wonderful Restaurant the food is so good. I can understand why it has Won so many Awards. The Owner Roz makes her Customers feel so Welcome ?? Love this Restaurant. I have never been disappointed. The food is great. The owner Roz Chow looks after her Customers nothing is to much trouble. Haven't been here for a while, but the last time we had a great evening. 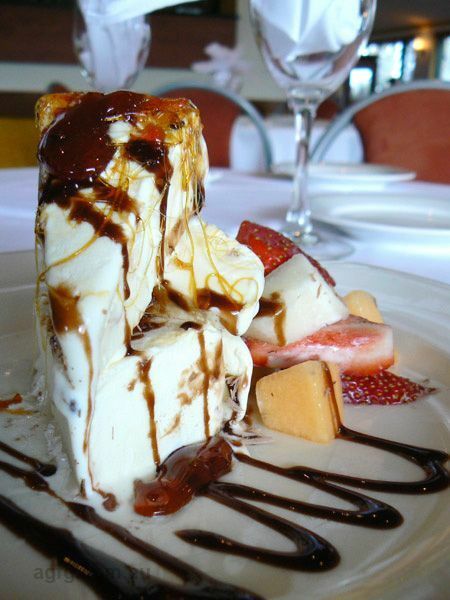 We didn't bother with the menu, we asked the owner, Roz, to surprise us with anything that was fresh and terrific. Boy, did we eat well that night! Can't recall the number of dishes we sampled but it was many and all were great. Nice surprise when the bill arrived. Nothing like the cost we were expecting! Fantastic value for money. Must go again soon. Highly recommended.